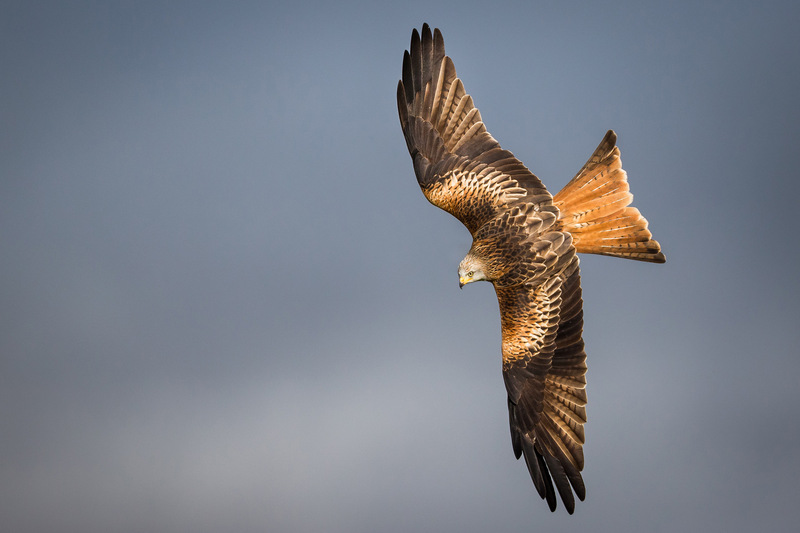 Join award-winning landscape and wildlife photographer Drew Buckley on a Red Kite Photography Workshop in the heart of Wales. 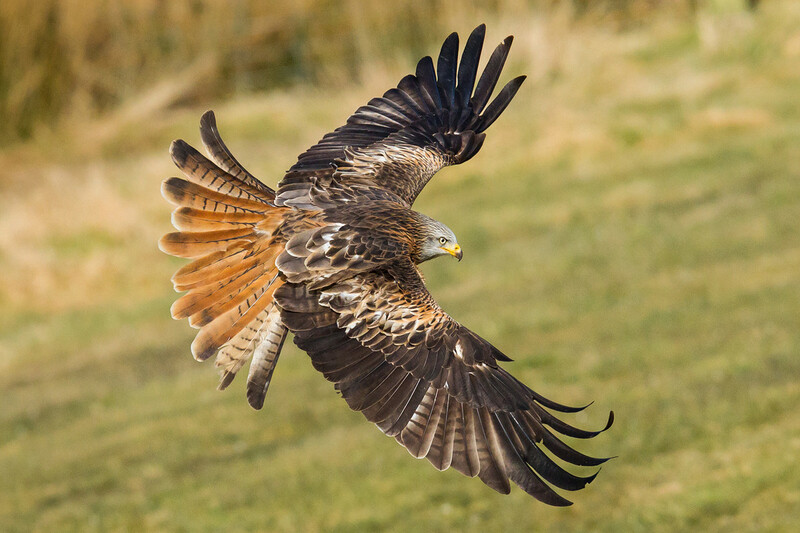 This location-based workshop will take place at Gigrin Farm, one of, if not; the best place to get up close and personal to these magnificent birds. 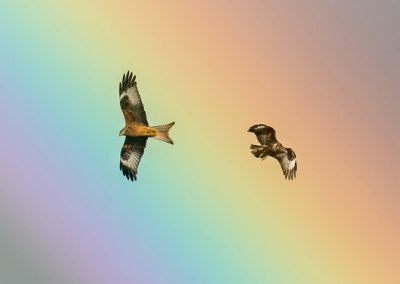 Their tailor-made photography hides will offer fantastic views at feeding time as literally hundreds of birds fill the sky giving you some superb opportunities to capture these stunning acrobatic flyers. 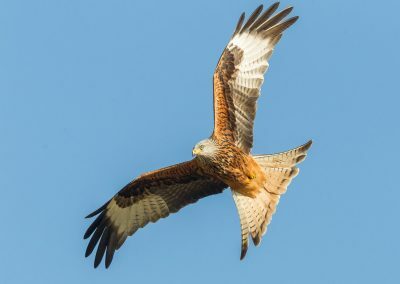 The Red Kite was persecuted to near extinction in recent years, and now they’ve made a remarkable comeback thanks to a major conservation drive across the UK, not to mention the fabulous work that the rehabilitation centre at Gigrin itself does. 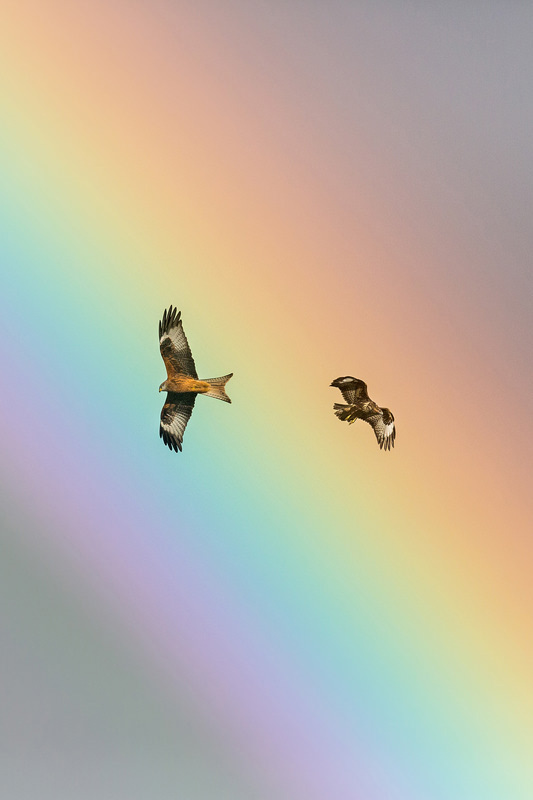 Now, a true symbol of Wales; being the national bird, it’s fair to say they’re doing great. On some occasions, you can witness up to four hundred Kites circling and feeding at the site at one time, providing an amazing spectacle. Bird in flight photography is always one of those great challenges as a photographer and also can be one of the most rewarding. Capturing and freezing the action of something that the eyes usually miss is a great insight into the not only the bird's behaviour, but also the shapes and patterns they create when they fly. On this workshop, our group will have sole use of the custom-made photography hide, purpose-built for photographers and film-makers. The hide will give you clear views of the feeding frenzy in front of you which will allow you to capture lovely images of the birds at eye level with the countryside behind them, or also views above as the birds soar around and dive down with their amazing acrobatic skills. Lenses - 300mm to 500mm ideally for frame filling shots. Though groups of birds can be photographed using wider angles too. This workshop is suitable for most levels of fitness as there is only a short distance of walking involved over good pathways from the car park. Access to the hide is reached via a flight of stairs. Cover correct camera setting and techniques, composition and using the available light to help you get the very best from the afternoon. All clothing should be neutral in colour. 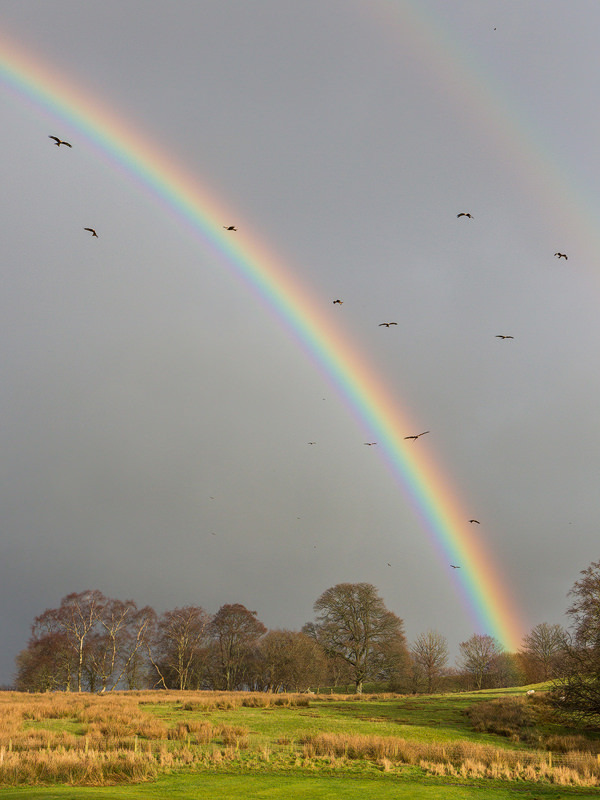 The fronts of the hides are open to the weather, so please bring waterproofs and warm clothing should the weather be unkind. There are small benches at the back of the hide, if you need a rest from standing up. But you could bring a small stool if needed too.There’s limited refreshments on site so feel free to bring your own packed lunch and drinks. You are free to bring whatever equipment you wish but please note you won’t be able to leave the hides once feeding has started. This is a group workshop. 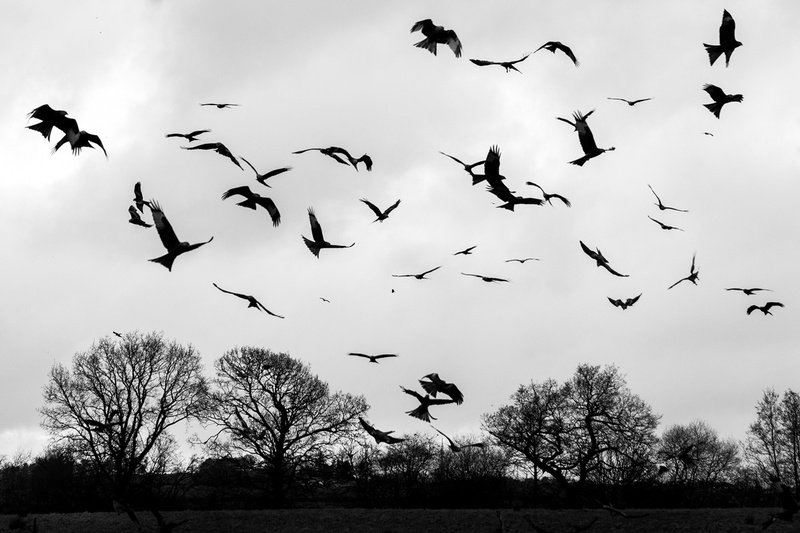 Kites in the hundreds! 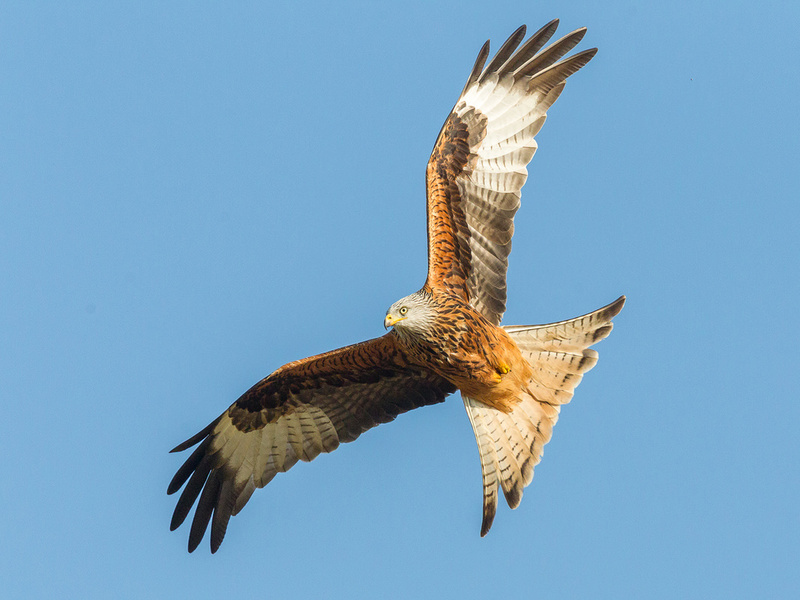 They come quite close to the hide so you’ll get some great close up views as they crowd the sky in front of you. They will dive down to grab food which will test your tracking skills. 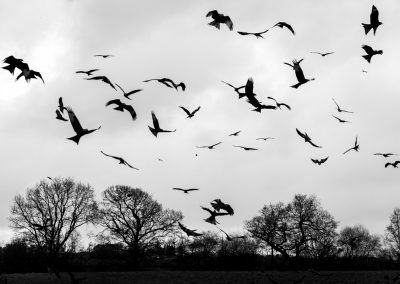 There will be Buzzards feeding on the ground together with Ravens and Crows. After the early feeding frenzy tails off, there will be another wave of Kites in smaller groups, which makes picking out the odd bird much easier. 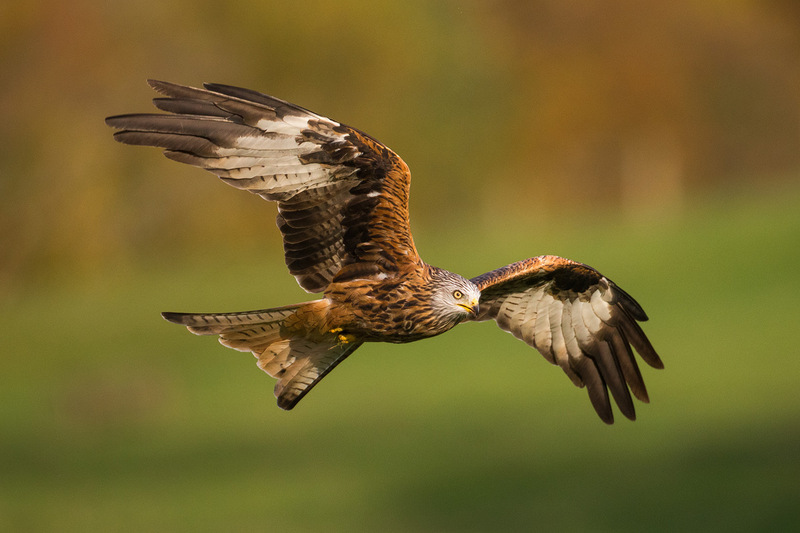 The workshop is aimed at most levels of photographic experience, and most delegates will come away with good images of the birds. 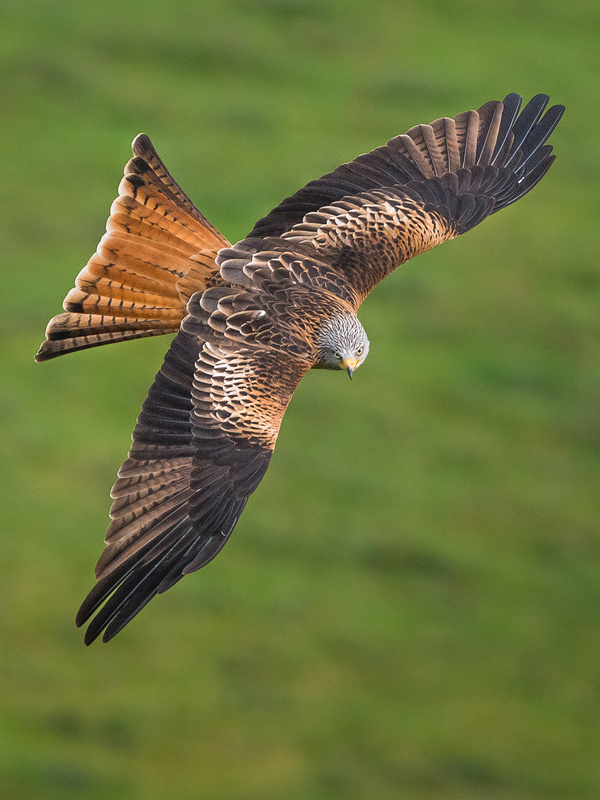 The workshop includes a guide through using the best camera settings and techniques for conditions on the day and the challenges of birds in flight. I will cover choosing the correct auto focus mode and settings, selecting the right shutter speed and camera settings on full manual mode, together with tracking and panning techniques. I will also cover choosing the right birds to look out for and identifying behaviour and when to anticipate the action, such as diving. I welcome those who are just starting out, or those who are experienced in bird photography looking to improve their images. What a fabulous spectacle! I spent an amazing few hours shooting in Manual mode – something I had not done before. Actually managed to get some great shots to my surprise and Drew’s advice was spot on. We constantly checked settings to ensure optimum shooting which is crucial whilst in Manual Mode. After being with Drew for just half an hour I learned more about my camera and its settings, realizing there\’s more to the camera than just the auto setup. We reviewed the pictures on a regular basis and any amendments to the settings was explained to me in fashion easily understood. All in all a brilliant day with a great companion and teacher. 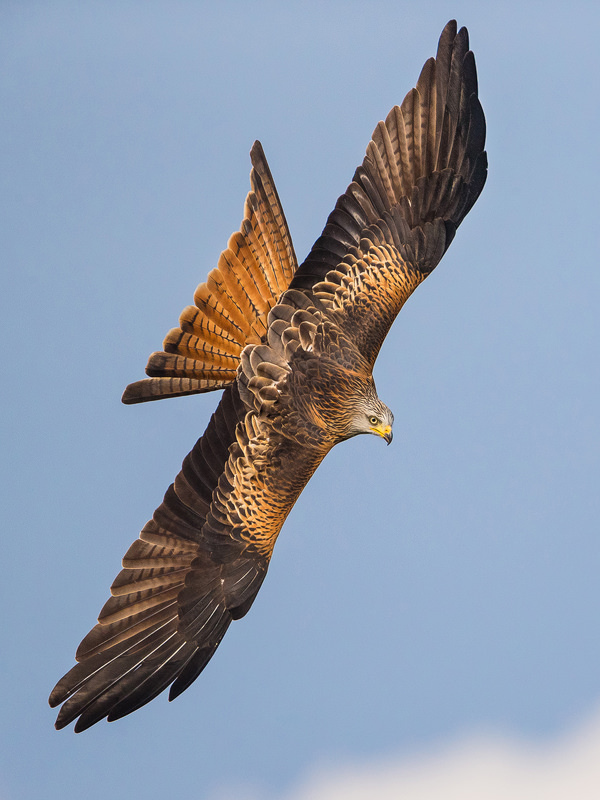 The Red Kite Photography Workshop costs £85 per person with a maximum group size of 6 people. If not enough people are booked on a particular workshop then: an alternative date will be offered or workshop will be cancelled and monies refunded. Please read the Terms & Conditions below as all completed bookings will agree to these. By booking through the website, you agree to all Terms & Conditions listed. A reservation is confirmed once full payment is received. I will then confirm your booking in writing typically via email. Our workshops run in all weathers and each delegate should ensure that they have the correct all weather clothing suitable to the conditions and each delegate is responsible for the well being of their photography equipment and personal effects. This is an outdoor photography workshop. Weather can be unpredictable. Drew Buckley accepts no responsibility in the event of any wildlife being out of sight or not in good light. 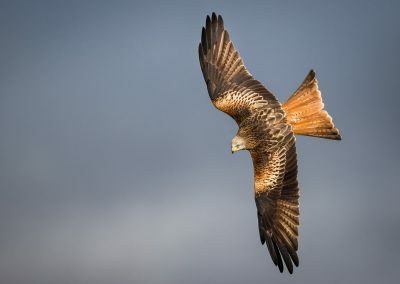 While every eventuality has been made to time this workshop for Red Kite photography - Drew Buckley accepts no responsibility for the lack of birds to photograph as these are WILD BIRDS and cannot be guaranteed. The venues and locations for this trip have no (or limited) medical facilities. Therefore please inform us of any health issues and ensure you take your own medication with the appropriate insurance in place in case of emergency. You agree to indemnify Drew Buckley against all loss and damage arising, directly or indirectly to the property and its contents from any deliberate or negligent act or omission by yourself, without limitation of the foregoing to pay us forthwith upon written demand our costs in making good any such loss and damage and cleaning. Drew Buckley shall not be responsible for any loss, or damage to any belongings, or injuries sustained by your or any member of your party. Drew Buckley reserves the right to cancel the workshop at any time. Each delegate should ensure that they have the correct all weather clothing suitable to the conditions and each delegate is responsible for the well being of their photographic equipment and personal effects. Workshops such as this will only run with the minimum number of participants met. If this number isn't met by the workshop date, then: an alternative date will be offered or workshop will be cancelled and monies refunded. Drew Buckley does not operate a cancellation insurance scheme and strongly recommend that you ensure that you have your own appropriate cover. If, for whatever reason, Drew Buckley needs to cancel a workshop, then full refund of monies paid by you to Drew Buckley will be made. However, Drew Buckley accepts no further liability beyond this, and, without limitation of the foregoing, we will not have any liability for travel costs incurred by you in relation to the booking. Any additional costs incurred outside the cost of the course including but not limited to transportation and accommodation will not be covered by Drew Buckley. If the delegate is a “no show”, then no refund to the delegate is applicable. Once a booking is made all fees are not refundable under any circumstances other than trip cancellation by Drew Buckley. Please advise Drew Buckley at the time of booking of any special requests such as diet or physical impairment. A specified level of fitness is required and Drew Buckley reserves the right to refuse to take a delegate if such a special request has not been notified at the time of booking.